Travel on first or even business class these days can be prohibitive, but there’s no reason why you shouldn’t treat yourself to a little pampering to make your hours in “not-business class” a little easier. 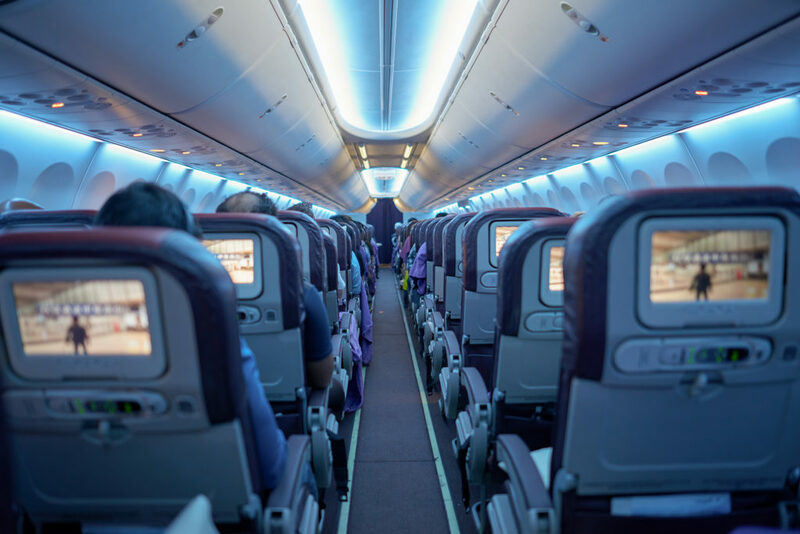 Uncomfortable seats top the list of what travelers hate most about flying—these tips will help you take the edge off. Sure, you can stuff everything into a reused manila envelope, but why not indulge in a travel wallet? Some have little labels to keep your docs organized and even have enough space for a phone. They make them in all kinds of materials and even the leather ones are quite affordable, though you can always splurge for the designer kind. RFID-blocking is a plus. They’re also great for avoiding that “where’s my passport” panic attack. Those U-shaped pillows may or may not work for you, but most people would opt for “not worth it.” Nowadays travel pillows come in some very different incarnations, from “infinity” style to full-on head covers to crossbody. We highly recommend reading the real-life reviewsbefore you buy one—some even come with pictures and videos and can be quite eye-opening! Speaking of eyes, pair a good pillow with a goodeye mask. Shawls, travel blankets, and pashminas are great travel accessories. We’re partial to cashmere if you can afford it: it’s lightweightand super cozy and can double as a shawl at your destination. However, there’sno denying the attraction of a compressible parka. Packabledown is one of the world’s greatest inventions, meaning you can take a full-size,super warm, and even sometimes waterproof jacket anywhere that squishes into itsown small bag or pocket. Can’t beat that! Plus, if you need it, it can alsodouble as a pillow. Dry, scaly hands are never in fashion no matter if you’re a dude or a lady. Hit up the travel size section of your local discount store or pharmacy and look for names like Lubriderm, Burt’s Bees, or Palmer’s—they’re all great and don’t have a heavy scent. You can also find a ton of small-sized traveltoiletries online. While you’re there, look for a spritzer bottle and fill it with rosewater, Evian, or somethingyummy. Your face will thank you. Does anyone really enjoy those teeny bags of pretzels the flight attendants so blithely hand out in coach? And never mind those overpriced boxes of faux snacks they peddle in the in-flight magazines. Check out your local gourmet shop for treats or any of the many online subscription plans that cater to refined palates and make your own snackpack. Just remember to keep creamy and/or liquid things to under three ounces. Noise-cancelling headphones are only as good as their noise-cancelling abilities (ha, see what we did there?) so it might be worth it to shell out a few bucks for some really good ones. Head over to your favorite electronics store and give a few different models a try and ask the salesperson to fake-cry like a toddler.